← This is my story, this is my song praising my savior all the day long. Hey friends, before we get to the actual blog, I first off wanted to take a second and explain what this blog is, it’s real life, it’s what God is teaching me, and showing me. It’s the lessons I’ve learned from the mistakes I’ve made. I want to share it will y’all because you never know who God is using to get through to other people. I’ll have a new blog every Wednesday for the foreseeable future!! Subscribe, like, and share!! 🙂 Now read on as we talk about friendship!! Friendship is sometimes a term we use loosely, like ya that person I met once is my friend, or I have __ number of Facebook/Snapchat “friends” when a large portion of the time you’ve never even met them. But true friendship is rare, and so so important. John 15:12-15 says “ My command is this: Love each other as I have loved you. Greater love has no one than this: to lay down one’s life for one’s friends. You are my friends if you do what I command. I no longer call you servants, because a servant does not know his master’s business. 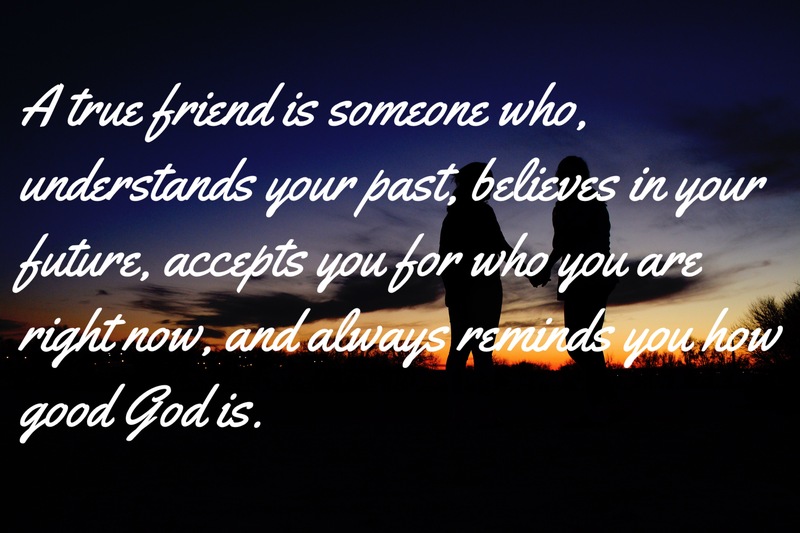 Instead, I have called you friends, for everything that I learned from my Father I have made known to you.” As Christians we have the best example of friendship that there ever could be, Jesus. He is always there for us day or night, you can talk to him about anything and everything because, let’s be honest he already knows. As believers we have a special bond with other believers for instance my friend Zach and I were hanging out this weekend, and we were talking about how church camp friendships are so different than any other friendship either of us have ever experienced, we both have best friends that we met at church camp and have that special bond with. Him and his friend have been best friends for 5 years, and my friend and I met and were best friends within no joke less than a minute. I think that is because you know everyone (at least hopefully) working there loves Jesus and you are all serving him. It’s a community, a bond, and a friendship like no other because it is centered on Jesus. Just like a romantic relationship works better if you have Jesus at the center, so does a friendship. Obviously it doesn’t have to be started at camp, or church. For example at my work right now, I get along with everybody and they’re all really nice, but with the people I know are Christians I am much more open with, I ask for prayer, offer to pray over them, ask how their walk is going, talk about how great the Lord is, and am just on another level with them. These kind of friends are the best kind, you know the kind I’m talking about, the ones who are there at 2 am when you need them, who you can talk to about anything and everything, who you can go to with any problem and their response is either “I’ll be praying for you”, or “let me pray for you right now”, who will drop what they are doing if you need them (for example they’ll help you/teach you how to jump your car even when they have company (thanks Zach…)) who know every single thing about you and have never judged you, who you can go months or even years without seeing, but as soon as you do see them nothing has changed, and who will give you some tough love when you need it. Those friends are so important. It doesn’t matter if you have a million Facebook friends and 9000 Snapchat friends, if you don’t have this kind of friend, you don’t have a real friend, but if you have just one of these, and 0 Facebook or Snapchat friends then you my dear are so truly blessed. I am so grateful to say that I have several of these friends, some I’ve known for years, some I’ve only known for just a few months, and some I had in previous seasons of my life and we fell out of touch. But all of them have helped me through my life, they are the best parts of me, they are the family that I chose and they chose me back. Recently I have been rediscovering who these real friends are and I am honestly so amazed at how many I have. But This weekend I was especially reminded of how good these friendships are as I got to see not one, but two of them. The first one was my pal from camp (the one that we became best friends in under a minute) her name is Emily, and if it weren’t for her this summer wouldn’t have been the same. After an hour of knowing each other we both knew pretty much everything about the other and within two days of knowing her I went home with her (if they hired her at camp she probably wasn’t going to murder me right?) She got me through some pretty dark and lonely times this summer. She loved me at my worst and I’m so thankful for that and until Friday we hadn’t seen each other since early August and oh boy nothing was different. We hugged for a solid minute when we first saw each other and though we only had 24 hours together, we talked about everything, we cried hard and laughed hard. We were silly and we had deep deep conversations but it was all centered on the Lord and my heart was and still is so full. My second friend that I got to see this weekend was my friend Zach, we met almost 4 years ago when he was my church intern, we were pals almost immediately and though we go through long periods of not talking and not seeing each other (until Saturday it had been since early June since we had seen each other), we can always pick right back up where we left off and catch up. Recently though we discovered that we didn’t know a lot about each other’s past and just knew what had happened since we’d known each other. This weekend though we were able to catch each other up on what has been happening recently, but we were also able to talk about life, and our story and how the Lord is working in our lives. By Saturday night my heart was so full of friendship, laughter, love, and the Lord, I was so refreshed and it has continued into this week, and the Lord knew I needed that. The Lord puts people in our lives to help us on our journey, are you using them? Have you been refreshed by a good talk with a great pal recently? If not, why not? I understand maybe you can’t go see them, both of my friends I talked about live 2.5 hours away, and most of my other friends live at least that far, if not farther. But phones exist and FaceTime is a beautiful thing. Take a moment and call a true friend, talk about life and remind each other that the Lord is good in everything, and He has a plan even when we don’t know what it could possibly be. The Lord is so good y’all and so are true friends. Love everyone but love those friends just a little more. This entry was posted in Christian and tagged Friendship. Bookmark the permalink.